A picture for the yearbook and one for the memories. 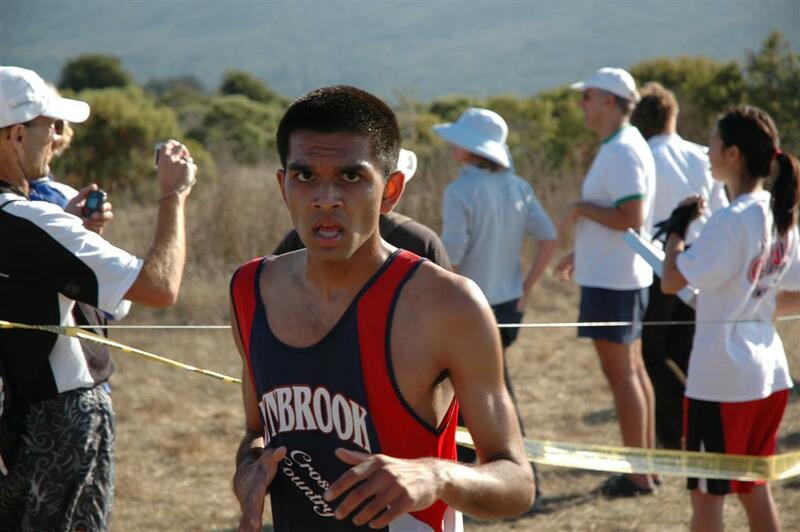 Frosh All-Time 2 mile/3200 list: So how does Paly's Phillip MacQuitty's 3200 time rank against the best Freshman ever? Carl Lewis music video: 21 medals from Worlds & Olympics but can he really sing? You decide. 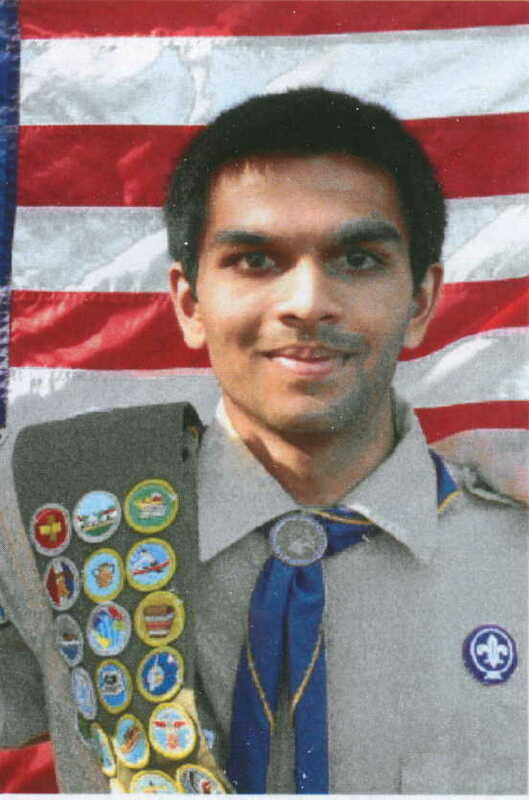 Archit Sheth-Shah: Congratulations Archit Sheth-Shah for achieving the rank of Eagle. 300/500 Mile Club: You can start anytime between now and June 30th. The "Hank Lawson XC Club" will meet on Mon & Wed at 5:30 at Lynbrook HS (by the pool) starting on June 18th to run anywhere from 3-7 miles. Don Bowden: America's first sub-4:00 miler - 50 years ago. Coach Darrin Garcia: Long, Triple & High jumpers - looking for a Summer Workout Group - contact Darrin Garcia for more info. San Jose Mercury: Recognizes their Spring Athletes of the Year (Weiler & Thomas). CIF Certification: New State coaching certification is coming. Must be completed by Dec 2008. San Jose Mercury: Selects their Athletes Of the Week - both are Track & Field. FOX Athletics: Is also holding their Altitude Training Camp this summer. Distance Clinic: Second Annual West Coast Distance Clinic, June 30th - check it out. Crystal Springs Uplands: Running Camp info. Phillip MacQuitty: Great article on Phillip and an idea on how much he runs along with the philosophy he's being trained under. Chinese Women WRs: More rumaging through my old files found these gems. San Jose Mercury: Alot of great articles today about Mt Pleasant, Bellarmine & Palo Alto. Saratoga News: Sameer Thadani (Lynbrook) gets a nice photo on the front. FOX Athletics: Will be holding their summer training camps in both the North & South Bay. End Of Year Track Party: Lots of awards and good times were had by the Vikes at their end of year Track Party. Bring on X-C! Tri-County Running Club: A summer running club at the southern end of CCS. CCS Finals Site Change: Coaches & Athletes - The CCS Finals (May 25th) will be held at Gilroy HS due to college graduation at SJCC. The trials will still be at SJCC. The time schedule for both events will remain the same. Be aware that Friday, May 25th is the beginning of Memorial Day weekend so traffic might be an issue - plan ahead. Saratoga News: Gives Saratoga and Lynbrook some nice coverage on their Division Finals. XC Boot Camp: "Top 8" Co-Meet Director Mike Dudley, offers up his 5th Annual Summer Boot Camp for distance runners and the serious about improving. DAL Finals: Lots of great marks by the Vikes - Pictures are here. CCS Re-Alignment: Menlo School & SHP get moved around - VC-Dublin goes to NCS and CSU comes to CCS for 2008. A 3:31.25 Mile: Now that is what I call REALLY FAST! I have to quit looking through my old files. Lynbrook Vs Los Gatos: The Wildcats took all 4 divisions - now on to Leagues. Pictures Here. Spring Break: Not So Annual Spring Break Relays. Balco/Conte: BALCO is gone, Conte is back. Arely Marquez (Yerba Buena): Nice story by the Merc on Arely. 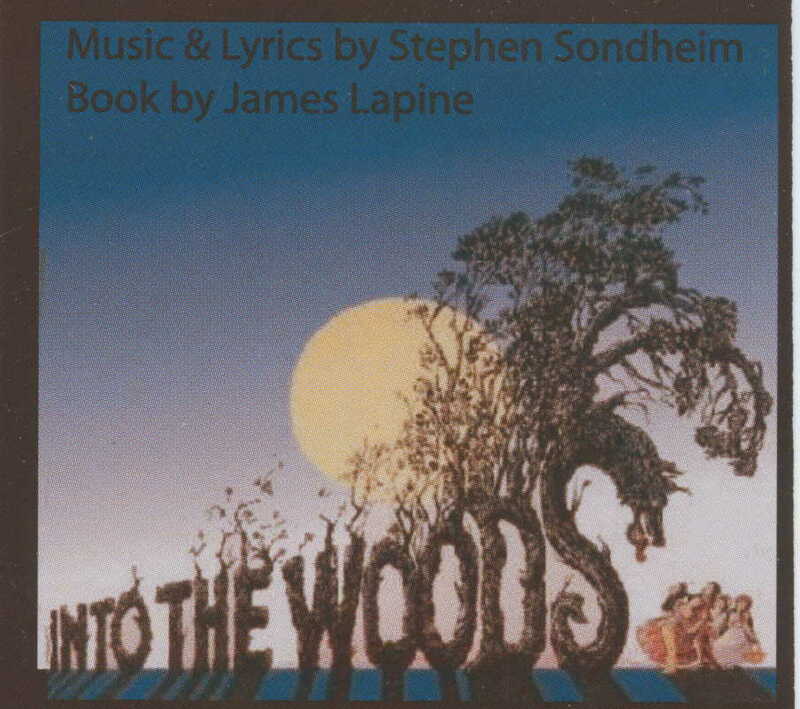 Into The Woods: I open in the show INTO THE WOODS on Friday April 20th (yes, I won't be at the Top 8 meet). Click on the link for more info. I do more than just coach & the web... Hank. Lynbrook Vs Monta Vista: A split. Lynbrook grabs both guys divisions while Monta Vista gets both girls. Angela Hsu sets a Stadium Record by winning the 2 mile in 12:19.47. Meet Pictures. CCS Top 8 Meet Entries: Want to see who's signed up so far and in what events? Click on link to the left. Deadline is April 14th. Coaches - check this link out since there are some athletes who's marks are unverified and will be dropped to alternates unless you get me the results. Track Tidbits: Coaches - when entering marks for Invites or reporting marks to the Mercury news please remember that all hand times should be rounded UP to the nearest 1/10th. Do not convert hand times to FAT times. Report that it is a hand time so there is no confusion. Let Meet Directors and list keepers do the conversion of times - especially for the sprints where we don't want to mix hand times with FAT times. If you feel you really must convert a hand time to FAT, please note the mark with a small 'f' next to the mark. Note that you add .24 for all hand times that are under 400m. You add .14 for all hand times of 400m or more. Lynbrook Vs Milpitas: VB & JVG came away with the win. Big showdown with Monta Vista this Wednesday at Lynbrook. Silver Bullets Track Club: Summer is not that far away - might want to start thinking about what you're going to do. Mercury News: Has three articles on Track & Field today. F/S Top 8: Vikes set PRs and get on the Lynbrook All-Time list at this meet that always produces fast times. Pictures Here. 1970 State Meet video: Rick Brown (Los Altos) wins the 440, 880 and anchors the Mile Relay as Los Altos goes on to win the State Meet. Lynbrook Vs Gunn: VB & JVG came down to the TJ and Lynbrook ended up winning both. Meet Pictures. Jewlery & IPods: A reminder that these things are not allowed on the Arena of Competition. 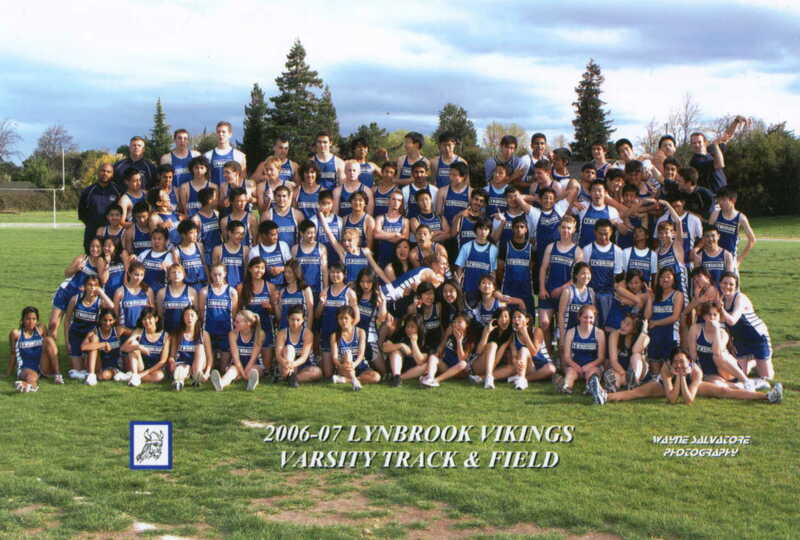 Lynbrook Vs LA: Some close scores but in the end Los Altos swept all 4 divisions. Meet Pictures. Shannon Rowbury: Ex-Sacred Heart Cath runner shines at Duke. K-Bell Invite: PR's by Vashisht, AJ, Brianna, Chris, Andrew - well, everyone I guess. Lynbrook Vs Paly: Palo Alto won all but the JVG Division and that division came down to the Mile Relay with Lynbrook pulling off the win (in the dark with no lights, 6:40PM). Mt Pleasant Relays: What a great spring day. The Vikes set a School Record in the guys 4x3200 with a team of Burinskiy, Wang, Hsiu and Lum. Winter Corporate Relays: Coaches from SCVAL show that they can still compete as well by winning, for the 9th year in a row, the Winter Corporate Relays over Lockheed-Martin (2nd) and AT&T (3rd). Andy Andreson Relays: Almost get through the whole schedule before the rain starts but had to cancel the last event (4x300) due to the downpour. All Results of LGAC's: The Los Gatos Winter All-Comer Meets. Results 02-24. Junior Olympics: The USA Junior Outdoor Track & Field Championships are the premier track & field meet for the elite junior aged athlete. Click to the left for more info. Lynbrook Alumni Meet: Six alums (Johnny Huizar, Chris Deal, Eric Chan, Yvan Pham, Luis Jensen & Taimur Khan) showed up for the 2nd Annual Lynbrook Alumni meet. This year the weather cooperated. A sew-saw meet ensued. After the Varsity swept the 2 mile the Alums came in with sweeps in both the LJ & TJ causing a 49-49 tie with only the Mile Relay. But alas, the mighty six were down to three runners and so they had to conceed the relay giving the Varsity a 54-49 win. Meet Pictures. Campbell Valentine 10K: For the first time in race history (28 years), Heather Gibson (27) won the race outright with a fine 35:15 clocking. 300 Time Trial: To see what kind of speed everyone has this early in the season. 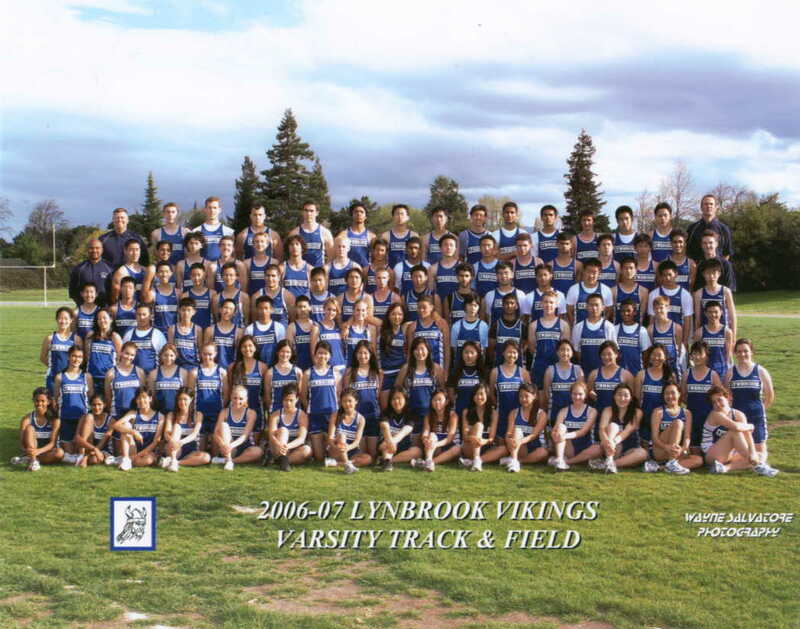 Lynbrook ALUMNI Track Meet: attention Lynbrook Alumni - Luis Jensen (class of '05) wants to challenge the Lynbrook Varsity to an Alumni track meet (again) on Saturday, Feb 17th at TBD (new day) with a BBQ to follow. For more information, contact Luis at email provided (left link) or at his cell (408) 828-4653. School Records in CCS: Want to see what a schools School Records are? Click to the left and scroll down. If your school isn't listed, send me your School Records either elctronically or FAX to 408 446-9060 and I will post. Hammer Throw Clinic: Ever thought about throwing the hammer? There will be a clinic on March 17th & 18th - free to HS'ers. SJCC All-Comer Meets: Jan 27 & Feb 3 starting at 11:00 (Field) and 1:00 (Track). Event Order is: Running Event Order: 400R, 1600, HH, 400, 100, 800, 400IH, 200, 3000, 1600R. Question? Contact Bob Flores. USATF Officials Clinic: this weekend at Serra HS - registration form on the left. Click here for Time Schedule. 150 guys & 150 gals: What could your school do? Take 150 guys & gals, have them each run an 880 for time and what would your school time be? In 1979 this was done by 23 schools in the CCS and Carlmont came out on top with a team time of 14:11:48. That is a 2:50.36 average per kid. If you were to 'guesstimate' an average girls and guys time... if the girls averaged 3:20 then the guys would need to average 2:20 - for every second slower one gender runs the other must run a second faster. Any challengers? 1981 Track Bests: Keith Conning puts together a nice 'walk down memory lane' for the year 1981 - check it out. Hurdle Technique Training: Bob Flores, SJCC coach, is available to help any hurdler on Tue & Thur at SJCC from 3:30-5:00. No fee. Email him at Bob Flores if you are interested. "Speed City": Is alive and well and San Jose State University. Check out the historical display that is going on now at Kelley Park in San Jose. Calif State HS T&F Meet History 1915-2006: A feast for track nuts. Complete results of all finals, plus heats and qualifying in more recent years. SCVAL Coaches: The Preseason Track Meeting will be held on Tues., Jan. 16 at 4:00pm. The meeting will take place at Santa Clara High School in the conference room located in the new administration building. Old-School Mile: Matthew Petrillo (Los Gatos) and Karen Wai (Saratoga) have the fastest times of the day (4:32.66 and 5:40.41) at the Old School Mile. LG All-Comers: The First one starts Jan 6th and go for the next 8 weeks. All-CCS XC Teams: Abdalla & Barnett lead the All-CCS teams. Inspirational BasketBall: This happened during last years BasketBall season - very cool. USATF XC Nationals: Club XC Nationals results can be found here - GO Aggies!. DVC All-Comers: Three are lined up for this Winter with a Steeple at each one. Wow! Track Videos: This guy has quite a collection. Track Clinic: FOX Athletics is having a Winter Track Clinic at Foothill JC. What?! : What ARE you doin? thinking of track? It's still XC season, so go to: 2006 Cross-Country.